Formed in 2004, Vertical Plus MRI has diagnostic imaging centers located in Hazel Crest, Illinois and Mishawaka, Indiana that specialize in upright, weight-bearing scanning positions. Our company was established after conferring with multiple Orthopedists and Neurosurgeons, as well as Neurologists, who recognize the unique benefits of upright, weight-bearing, all-positional MRI scanning to both the patient and physician. 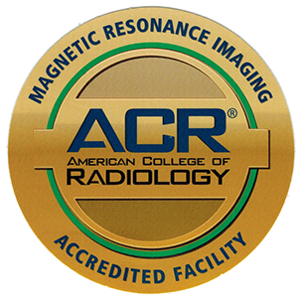 Our mission is to provide outstanding service to customers in a friendly, comfortable environment and aid physicians in the diagnosis and treatment of their patients with superior diagnostic images that are more comprehensive and accurate. By researching and meeting with the doctor who discovered MRI technology, and who holds multiple patents, we've learned about the unique value of the upright FONAR machine and its ability to center and focus the MRI beam directly on the part of the body that is being scanned. This enables the Vertical (upright) MRI to provide significantly more accurate and useful images, while offering patient comfort. Thomas A. Predey, M.D., is board-certified in diagnostic radiology and neuroradiology. He graduated from Loyola University in Maywood, Illinois, and completed his fellowship in neuroradiology at Northwestern University. He is board-certified in Diagnostic Radiology and Neuroradiology and licensed in the States of Illinois, Indiana, and Florida. Robert Baron is a former professor and Chairman of the Department of Radiology at William M. Scholl College of Pediatric Medicine. He has a visiting fellowship in Musculoskeletal MRI at the MRI Education Foundation of Pro Scan Imagine in Cincinnati, Ohio, and is board-certified in primary podiatric medicine and orthopedics. Robert is licensed in Illinois, Indiana, Wisconsin, and Iowa.